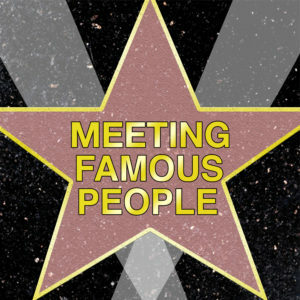 Meeting Famous People – People you've never heard of meeting people you have heard of. People you've never heard of meeting people you have heard of. My brother-in-law Pedro Martinez joins me to talk about a time he exchanged a subtle greeting with Patrick Stump, the lead singer and rhythm guitarist of Fall Out Boy. My wife Vanessa joins me to talk about our experience at Clusterfest, where we wound up in the audience for Lonely Island with comedian and actor Nick Kroll! Mike Rapin talks about a time he stopped to wait at a light for a crosswalk sort of near Lin-Manuel Miranda in New York. 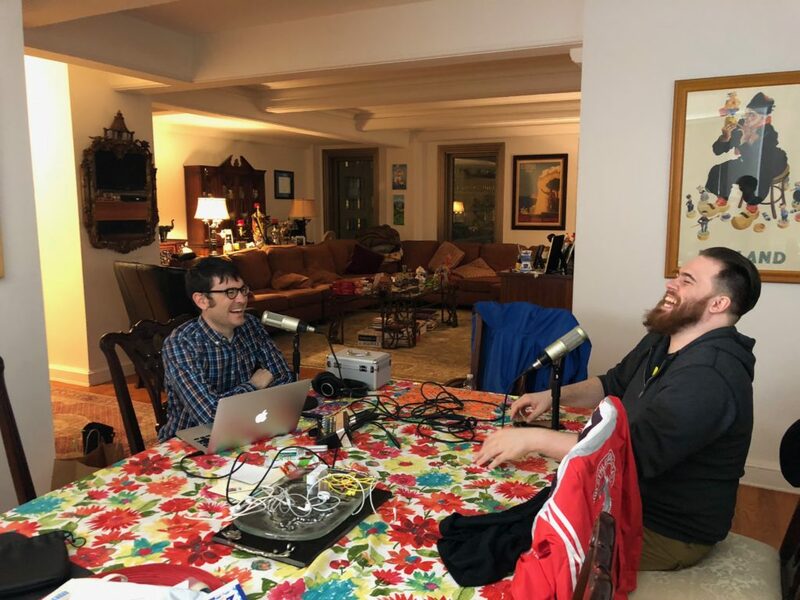 Joe Dugandzic talks about the time he got to interview the legendary George Takei on his podcast. Joe Dugandzic launched QTalk Arizona as a single podcast in the summer of 2010 to create a new voice for the LGBT community of Arizona, and largely replaced Joe’s former and more personal podcast that he started in 2008. Inspired by the variety of shows on TWiT, Joe would transform QTalk into an actual “network” of LGBT-hosted shows on topics ranging from politics to food and wine to, well of course, tech! A dedicated, low-budget but cutting-edge studio was where the shows originated, ultimately moving to live broadcasts including video streaming. QTalk America, as it’s now known, is under the care of local Phoenix LGBT “celebrity” Clayton McKee, producer of his own hilarious namesake show on the network. Check out QTalkAmerica.com on Tuesday nights at 7pm Arizona time for a show with four friends, a lot of laughs, and a drink-along game. Rob Brogan talks about a time he and a friend ate dinner in close proximity to Meryl Streep in the Williamsburg neighborhood of Brooklyn, New York. Patrick Delahanty talks about a time Jane Kaczmarek, best known for playing the mom in Malcom in the Middle, drove him home from the airport in New York at age 13. Matt Scott, owner of Lemonjellos Coffee in Holland, MI, talks about “meeting” Elton John while walking through downtown Las Vegas. Thanks for checking out the site of my new podcast! This show will feature stories from people who have met someone famous at some point in their life. Some of these stories may even involve words being spoken with celebrities! I know, it’s thrilling. I’m resisting the urge to type this entire introduction in all caps. Anyway, I’ll have episodes here shortly, so check back again soon!